In the part 1 of the "perceiving cultural rights" series, culture36.org contributor, Deepak Srinivasan analyses the Cultural Rights discourse as a new and emerging one, intrinsically tied to processes of the political. He investigates some of the interventions from Austria and India that redefine urban and rural divides. The Cultural Rights discourse is a new and emerging one, intrinsically tied to processes of the political. Studies on non-European communities (as postcolonial subjects or to understand post-industrial modernity) have identifies and explored culture’s influence on socio-economic and political factors. Nancy Duxbury, (senior researcher, Center for Social studies, University of Coimbra, Portugal), points out that the role of culture to activate socio-political process is being most seriously considered by New Zealand and Australian regions. There is a certain deficit worldwide, in understanding and inquiring into influential cultural processes- whether in addressing ecological, financial or conflict centric crises; or in local, regional development. This could probably be because of the fact that culture is most often assumed to be an ancillary process to ‘more important’ economic and governance aspects. Culture is also considered operational only in the realms of the apparent aesthetic, visual realms of human societies and ‘classical’ forms of expression (music, rituals, performance, etc). This lack of consideration of cultural processes is thus being discussed in smaller critical pockets, the world over, as contravention of cultural rights within societies. Simona Levi, a multidisciplinary artist (& Director of Conservas, Spain) points out that cultural lobbyists over the century influenced social operation of culture in certain ways leading to infringement of cultural rights. Levi implicates artists themselves, as main agents of affecting three processes in the past half century of modern urban development. Gentrification of arts and culture and of the urban public sphere; this being the result of direct intervention of artists staking claim in urban spaces. Simona Levi’s observations broaden the notion of culture by offering insights into the culture of communication and production (apart from areas of media, art and cultural practice). When one engages with Levi’s argument and looks for signs of change in the current scene, processes that are trying to facilitate a shift in understanding culture maybe noticed. Processes of gentrification in art are slowly being critiqued from within and outside. A role for the artist in social spheres has also risen out of needs of artists themselves who choose to critically redefine their practice. Additionally, multidisciplinary practitioners within art and cultural fields have brought in new sets of skills & inquiries. Media practitioners, activists, ecologists, biologists, social scientists, architects and many others have chosen to engage using participative means to inventively question changing urban spaces. Concerns are also being raised on public/urban spheres/commons in processes of democratization. The FOSS (free and open source) and other such movements are trying to move digital ideation and production towards more access, inclusion and sharing. The space for innovative culture and art entrepreneurship (particularly in developing countries) has undergone slower transformation. More often than not, the State has supported classical and dominant regional cultures and nationalist art. Yet, in the recent past, there has been an emergence of smaller collectives, hybrid cultural and social spaces, and State support for such proposals. India has not seen many entrepreneurial cultural movements that have resulted in establishing alternative and independent local cultural centers that intersect with the socio-political space. More often than not, the state has set up centralized art and cultural units, and pedagogical spaces. More recently however, rapidly changing urban spaces have thrown up needs for communication and reconnection. 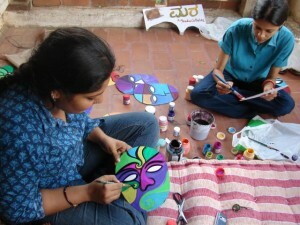 In the city of Bangalore, one has seen the emergence of independent art spaces like 1Shantiroad gallery (http://www.1shanthiroad.com/), Samuha open gallery (http://samuha.wikidot.com/) and Bengaluru Art Residency (http://www.bar1.org/) that work as art residencies promoting relatively unexplored but cutting edge visual art. Maraa (www.maraa.in), a media and arts collective is the only collective if it’s kind in the city of Bangalore, comprising individuals from diverse backgrounds such as technology, media, theatre, social and natural sciences. Choosing to respond to the changes in spaces of urban living, Maraa has been working with urban art practitioners to address changes in the diversity and utility of urban spaces and its public. Such non-state funded independent collectives have formed in response to stagnant media practices, changing urban spaces and ecological concerns. Maraa has also been concerned about the many urban publics that get labeled minorities & migrants, categorized as non-citizens and sidelined and rendered invisible in a shiny, new urban cultural map. 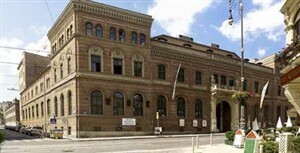 The WUK center located in Vienna is one amongst the few that rose out of people’s movements for cultural rights. Located in Austria, (currently aligned with the EU), the WUK center has continued to run on state subsidy since the 1980s. Imagined as an arts and culture center which would “promote an everyday culture as a life practice and investigate social models that support community-oriented conduct” (taken from WUKs mission statement translation) the WUK is run and managed by various community members and urban stakeholders. From a movement that rose out of conversations between students, activists, artists, social workers, teachers, urban planners, feminist groups and pensioners in the early 1980s, the WUK has formed out of community reclamation action like squatting, to negotiations with and support from the state. So what then is cultural rights and how to fully grasp it to be able to then frame policy, discourse and practice around this? How do we transcend class divisions constantly rendering certain publics non-participative and certain cultures more visible and others opaque? The answer lies in looking more closely at divisions between nature and dwelling, ecological and developmental/infrastructural and urban and rural; such paradigms that set up an irresolvable dichotomy of space and culture. The following segment will look at two specific projects that choose to challenge some of these divisions and dichotomies of living space, livelihoods and micro-economies. These projects were presented at the Ready for Change? Forum held in Ljubljana late last year. This writer was in attendance. Deepak Srinivasan is an artist, media practitioner, researcher and pedagogue, currently a core member of Maraa (www.maraa.in), a media & arts collective based in Bangalore and faculty at Srishti School of Art, Design and Technology, Bangalore (www.srishti.ac.in). After a Bachelor’s degree in environmental sciences and an MS in neurobiology, his interests shifted to exploring the role of performance as method for trans-disciplinary inquiry. Since 2005, he has been training in performing arts and community theatre. Deepak’s experience in media comes from his days as content developer with Worldspace Satellite Radio. Media and art practice have become an emerging focus for Deepak and help to better understand the role of culture in emerging political negotiations and identities.